The error is shown in Step 6. 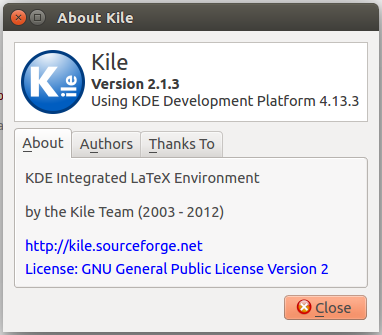 This post was written while i was using Kile version 2.1.3 (see Pic 3) on Ubuntu 14.04. Replicating roughly what i did before running into the problem. 1. Assuming you already have Kile installed, run Kile. See Pic 1. That is how Kile looks once loaded, see Pic 2. Pic 1 - Starting Kile. Pic 2 - Kile, loaded and empty. Pic 3 - The About Kile dialogue box. Kile version. 2. Create a new *.tex file. From the menu bar, click File > New. See Pic 4.
iii - Click the OK button. That is how a new *.tex file looks once created, see Pic 6. Pic 4 - Creating a new *.tex file. Menu bar. Pic 5 - Creating a new *.tex file. 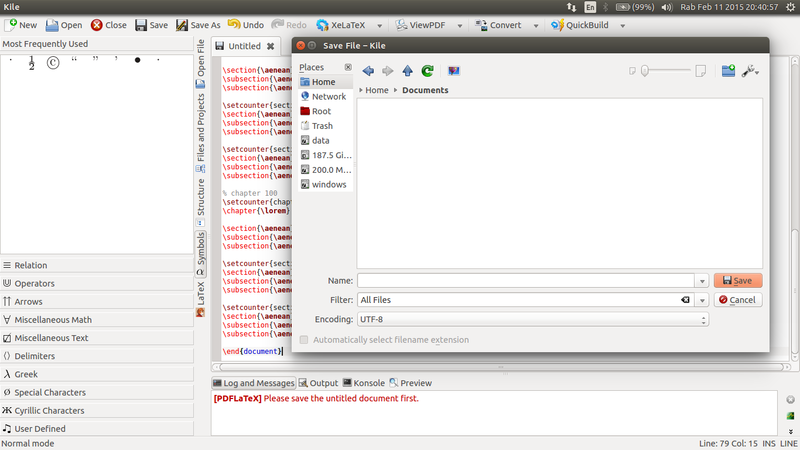 The New File - Kile dialogue box. Pic 6 - A newly created *.tex file. 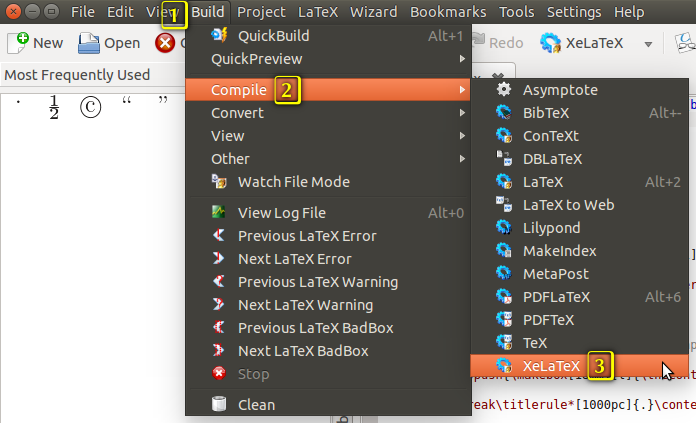 ... and paste it into the newly created *.tex file. 4. Save the *.tex file. 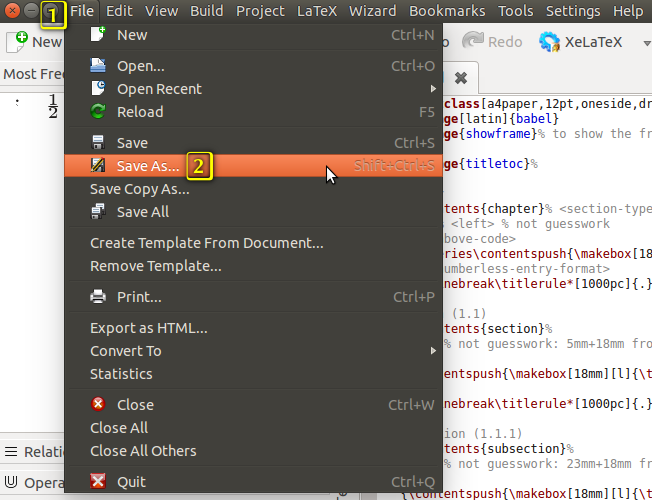 From the menu bar, click File > Save As... . See Pic 7.
iii - Then click the Save button. 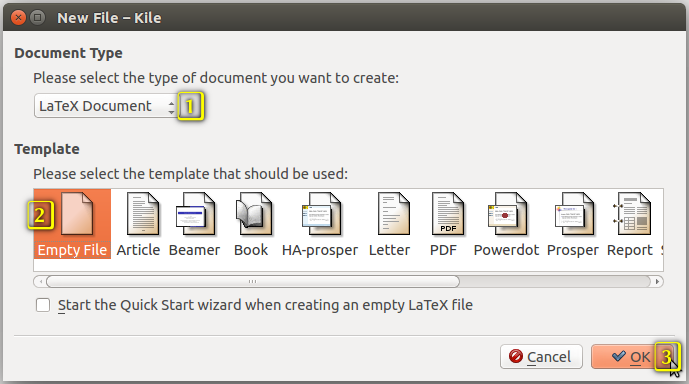 [PDFLaTeX] Please save the untitled document first. ... and a Save File - Kile dialogue box will appear. See Pic 9. Pic 7 - Saving the *.tex file for the first time. Menu bar. Pic 8 - Saving the *.tex file for the first time. The Save File - Kile dialogue box. Pic 9 - Prompt arising from building before the first save. 5. Build using your preferred engine. I used PDFLaTeX. 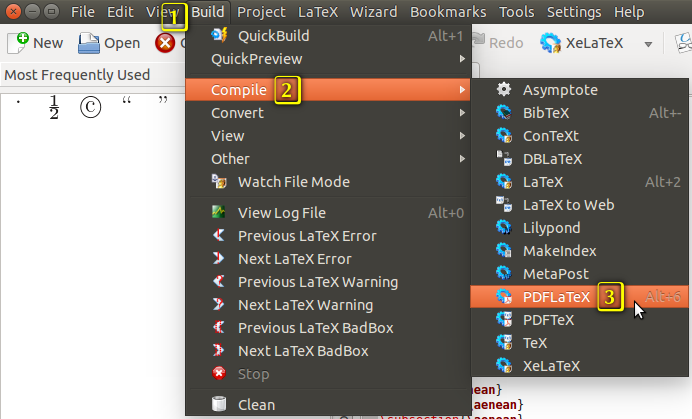 From the menu bar, click Build > Compile > PDFLaTeX. See Pic 10. 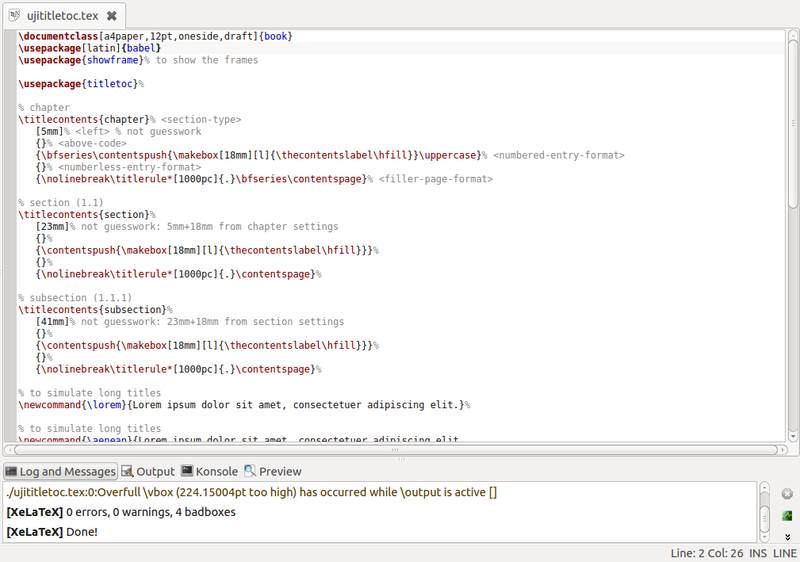 Pic 10 - Building the code using PDFLaTeX. ii - the babel.sty file will appear. See Pic 12. 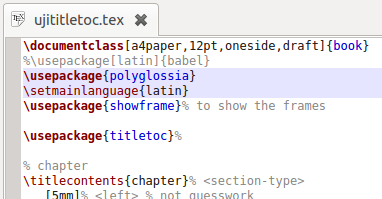 (babel) or the language definition file latin.ldf was not found. 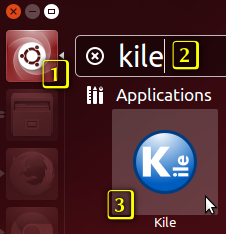 The Log and Messages window and Output window are at the bottom of the Kile window. See Pic 6. Pic 11 - Kile. Log and Messages. Pic 12 - Kile. babel.sty. There is nothing wrong with this code. It's just that a required LaTeX package is missing. - needs to be closed before installing any packages. From the old days of using Windows *ahem*, i chose to terminate Kile before proceeding to Part B. 9. Run Ubuntu Software Center. See Pic 15. 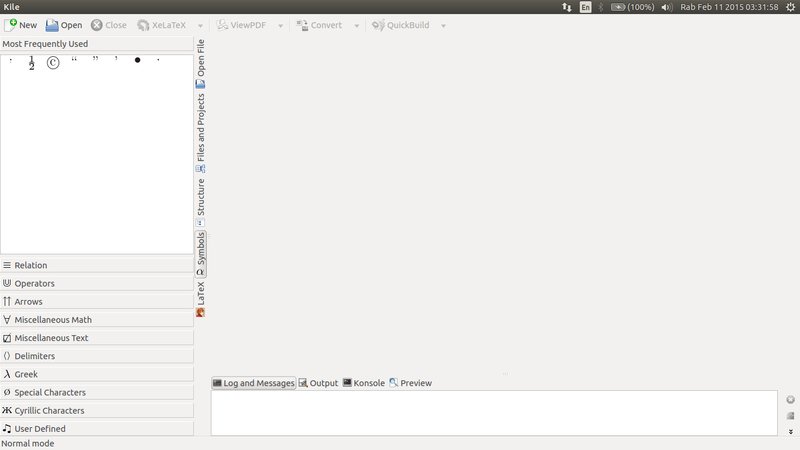 That is how Ubuntu Software Center looks once loaded, see Pic 16. Pic 15 - Starting Ubuntu Software Center. 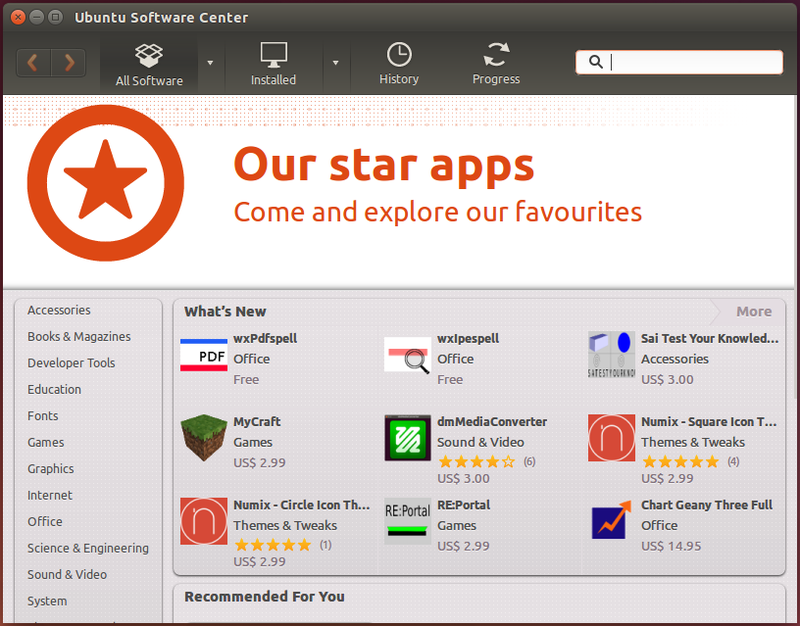 Pic 16 - The Ubuntu Software Center. 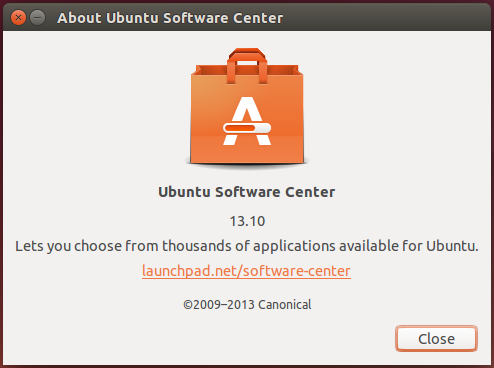 Pic 17 - The About Ubuntu Software Center dialogue box. 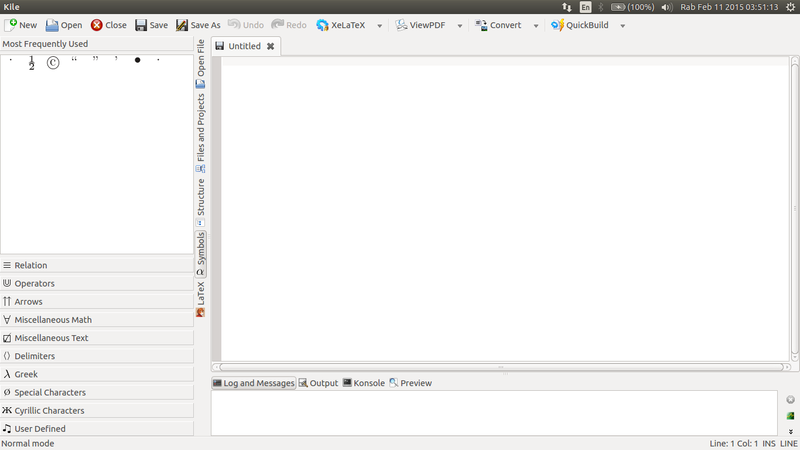 Ubuntu Software Center version. The filtered packages will be auto-listed. See Pic 18. Pic 18 - Ubuntu Software Center. Searching for the package. (b) - Click the Install button to install straight-away. See Pic 18.
iii - The Authenticate dialogue box will appear. Key-in your Password, then click the Authenticate button. See Pic 20. That is how your package looks once installed. See Pic 21. 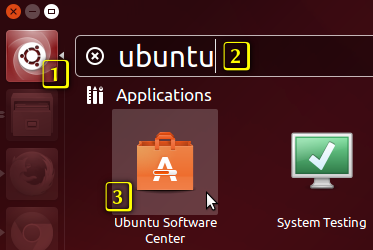 Now Ubuntu Software Center can be closed. Pic 19 - Ubuntu Software Center. The package description. Before installing. Pic 20 - The Authenticate dialogue box. Pic 21 - Ubuntu Software Center. The package description. After installing. 12. Run Kile. See Step 1. I don't know how yours is setup. Mine loads the last document(s) that were open before Kile was closed. 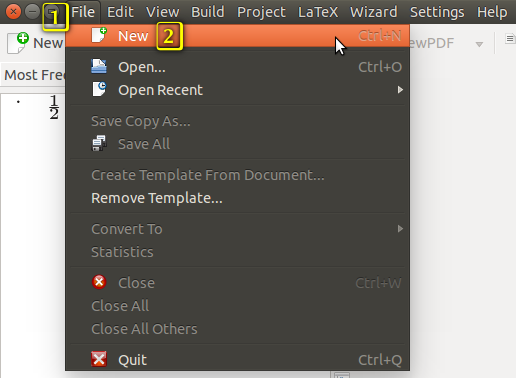 If it doesn't load the code you saved in Step 4, from the menu bar, click File > Open Recent > then find your file in the list of recent files. If your file is not in the list of recent files, from the menu bar, click File > Open... . 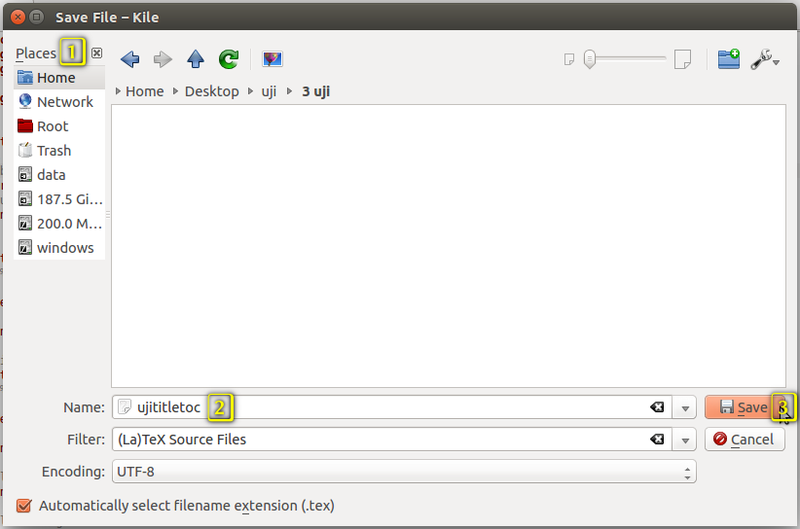 In the Open Files - Kile dialogue box, locate your file then click the Open button. 13. Like in Step 5, build the code. The error should be gone by now. See Pic 22. Pic 22 - No more errors. 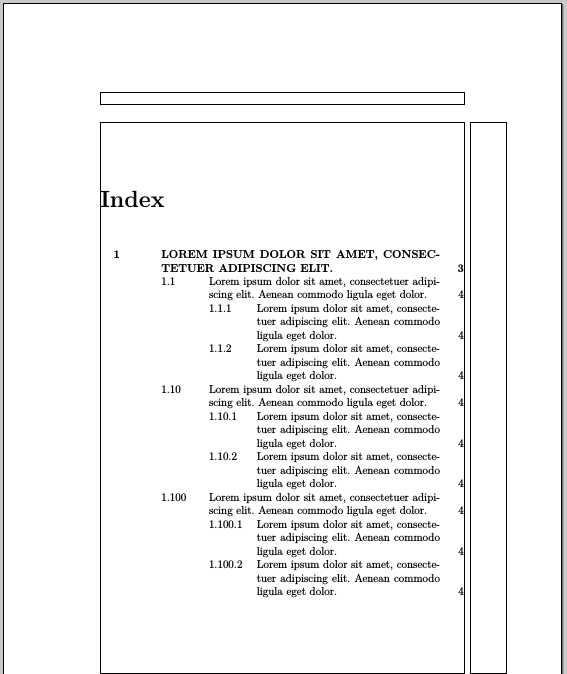 (a) The screenshot of the produced PDF, with the Step 7 code present (code was uncommented), is shown in Pic 23. The screenshot of the produced PDF, with the Step 7 code absent (code was commented), is shown in Pic 24.
i - comment the Step 7 code. See Pic 25.
iii - then build the code using XeLaTeX. See Pic 26. 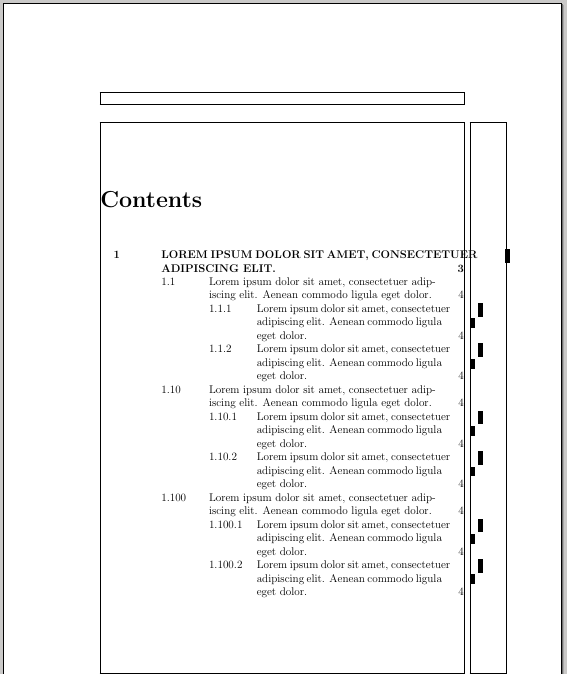 The screenshot of the produced PDF is shown in Pic 27. - shows the first page of the PDF, which is the table of contents (ToC). Pic 23 - Screenshot of the produced PDF, with the Step 7 code present (code uncommented). Pic 24 - Screenshot of the produced PDF, with the Step 7 code absent (code commented). Pic 25 - Setting-up the code. 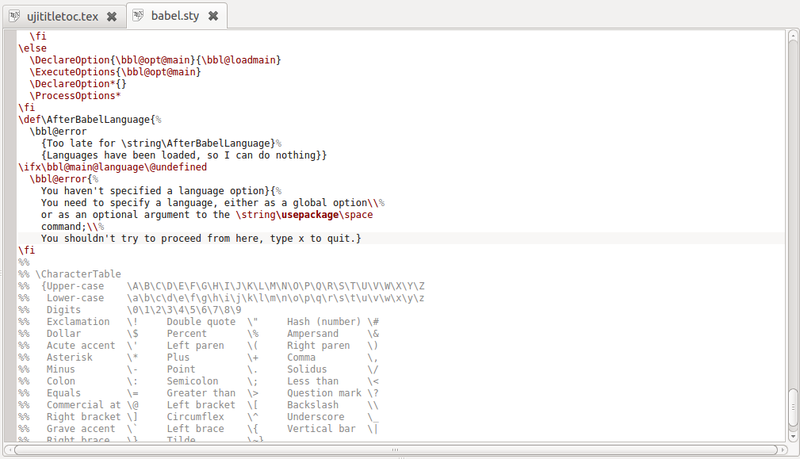 Pic 26 - Building the code using XeLaTeX. Pic 27 - Screenshot of the produced PDF, with the code in Pic 25 present.